Alarm system. Reversing aids. Side scanning systems. Assistance systems for trucks and motorhomes Easy to retrofit. CaraWarn assistance systems are special developments for trucks and vans, as well as for campers and caravans. CaraWarn alarm systems and blind spot assistants offer optimal protection and security at a fair price. CaraWarn has set itself the task of developing simple and reliable safety systems that can be retrofitted to any vehicle. Our systems are constantly being further developed and adapted to the needs and special requests of our customers in the best possible way. EASY retrofitting + EASY operation + FAVOURABLE in purchase and maintenance! The Secure-Sleep alarm system is the first alarm system for motorhomes worldwide, which was developed to protect the occupants at night and even detects an attempted break-in before a break-in or even damage to the door lock occurs. This means that our alarm system can not only prevent a break-in, but also protect against a dreaded gas overball at night. Secure-Sleep means to sleep much safer and calmer in a motorhome or caravan. A possible robbery at night often makes motor home owners sleep restlessly, especially on motorway parking lots or unguarded parking lots. Our alarm system was developed precisely for this purpose and detects whether a person is outside the door to drive away a possible burglar or to wake up the sleeping occupants in an emergency. CaraWarn already works where conventional alarm systems do not even notice that a break-in should take place. Our turn-off assistant for trucks, buses, vans and mobile homes for the blind spot is easy to retrofit and can be retrofitted in virtually any vehicle to actively support the driver and prevent turn-off accidents. Our TruckWarn blind spot assistants can be specially adapted to the needs of drivers and areas of application. For this reason we offer special systems for 12Volt vehicles such as motorhomes and vans as well as 24Volt systems for trucks and buses. Our side scan systems work actively for the driver and relieve the driver in difficult traffic situations, which also makes our turning system so popular with drivers. The feedback from the drivers shows our success and that's why we are not afraid of direct comparison with other systems. Our truck blind zone system monitors the blind spot next to the vehicle with 4 XXL sensors, which is difficult or impossible for the driver to see. The side scan system recognizes cyclists and pedestrians, as well as small and large vehicles next to the truck, in order to warn of accidents when turning or changing lanes and to prevent them as far as possible. Different warning levels and warning zones warn the driver of possible dangers by means of an LED warning light or an additional warning tone. This means that the system works absolutely reliably even in poor visibility conditions such as low sun, darkness and dazzling vehicle headlights. Our blind spot assistant does not need to be monitored by the driver in addition to the door mirror, but also reliably warns of blind spots when the driver is distracted or inattentive. The bus blind zone system is designed in such a way that the blind spot common for buses can be monitored optimally. The 4 XXL sensors can thus also be ideally adapted to the different construction methods of the buses, so that the driver of the bus is optimally supported when turning off from the blind spot warning system and persons and cyclists are indicated next to the bus by an LED or a warning tone. The demands on a bus driver due to the traffic situations in the cities are becoming ever greater. Straight cyclists can be quickly overlooked when turning or changing lanes. For this reason, our bus blind zone system actively works for the bus driver and relieves him of his daily workload. The feedback from the bus drivers shows that they can be much more relaxed, especially in confusing traffic situations, and that a cyclist can be recognised more quickly in the blind spot and thus even dangerous situations can be avoided. WVC-Blind zone system has been adapted as a special blind spot assistant for refuse collection vehicles. Our blind spot system actively supports the driver by not only monitoring the blind spot next to the garbage truck. Especially drivers of a garbage truck have to pay attention to various other additional conditions in addition to traffic, so that an additional display or even an additional monitor for monitoring the blind spot places even greater demands on the drivers. This is why our ASF Blind Zone system is so popular with drivers as an active turn-off assistant system for refuse collection vehicles. Our system does not require an additional display which must be monitored by the driver in addition to the side mirror, but actively warns by means of a warning LED or an alarm tone depending on the danger zone. This means that cyclists in the blind spot or even people next to the garbage truck are immediately reported, so that accidents are avoided. If a garbage truck has to reverse into a dead end or a narrow road, our side scan assistant also supports the driver and monitors the area next to the garbage truck even if the driver is looking at one of the other side mirrors. 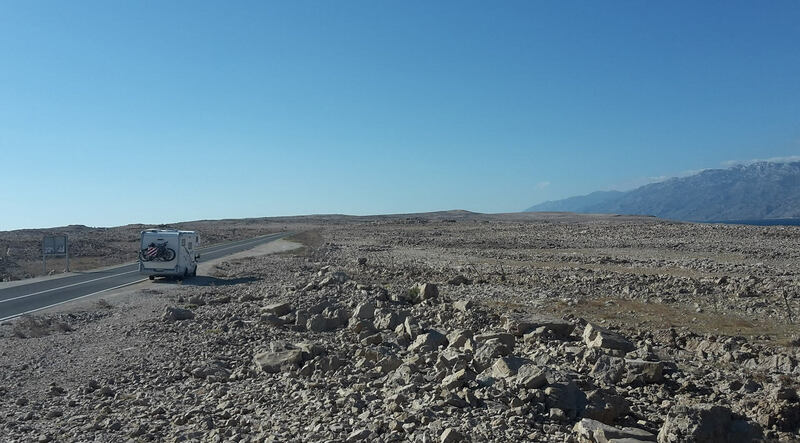 The CaraWarn side scan system for motorhomes is not only helpful for large motorhomes, but is also appreciated by medium and small motorhome drivers. Especially in small alleys in southern Europe or on motorways with many lanes, the blind spot and lane change system helps to keep an overview next to the motorhome and to keep a much more relaxed overview of the traffic situation. In many cities in Southern Europe there are far more moped drivers than here in Germany, who also drive around to the left and right of the motorhome. Highways with many lanes, especially in front of toll stations, quickly lead to confusing lane changes, where our side scan assistant actively supports and thus can protect against an unnecessary traffic accident. ParkWarn Bus-Easy-2 is designed for trailers and smaller trailers. Trailers on motorhomes or small trailers on vans are very difficult to see when reversing. Obstacles and persons can therefore be quickly overlooked when manoeuvring or parking. Our reversing assistant helps here, which can be retrofitted quickly and easily and is considerably cheaper than any accident, even if it is covered by insurance. The system is quickly retrofitted and can be used easily even with changing towing vehicles thanks to the Easy-Key and is also compatible with several trailers and different towing vehicles at any time. The ParkWarn Bus-Easy-4 reversing aid was specially developed for large trailers such as caravans, sales vehicles or tarpaulin trailers, in order to also know what happens behind the trailer as a team when reversing. Thanks to the latest CanBus technology, the warning signal is reliably transmitted to the towing vehicle and only by inserting the trailer plug the reversing system is already connected to the vehicle. As an owner of a caravan or a sales van you will love our Bus-Easy-System. It is quickly retrofitted and can be used easily even with changing towing vehicles thanks to Easy-Key and is also compatible with several trailers and different towing vehicles at any time. Our Bus-Light-4 motorhome reversing aid was specially developed for motorhomes, as no cable must be laid across the vehicle. The system helps you to park safely and warns you via a practical LED warning module with integrated sound. The Can-Bus technology is activated via the reversing light and does not require a disturbing radio or Wifi signal and is thus absolutely reliable as well as easy and quick to install. Through 2 warning zones, a Bike racks are also taken into account and the system reacts earlier. Our motorhome reversing aid Bus-Sound-4 was developed especially for motorhomes, because no cable must be laid across the vehicle. The system helps you to park safely and warns you with a handy sound warning module. The Can-Bus technology is controlled via the reversing light is activated and does not require a disturbing radio or Wifi signal and is therefore absolutely reliable as well as easy and quick to install. Through 2 warning zones, a Bike racks are also taken into account and the system reacts earlier. CaraWarn Alarm System - Reverse Drive Assistance - Retrofit Blind Spot System. 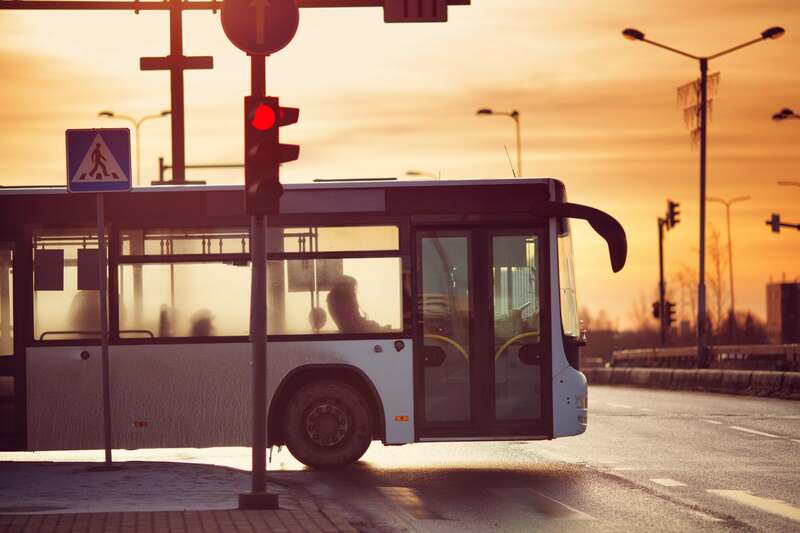 Whether on buses, motorhomes or trucks - a blind spot assistant or a reversing aid has many advantages, can prevent accidents and even save lives. You want to know if there is a cyclist next to your vehicle in the blind spot or if there is an obstacle behind your trailer or motorhome when reversing? Then you will find here a variety of high-quality offers and solutions to retrofit a blind spot assistant, to install an alarm system for your safety or to install a reversing warning system in order to achieve more safety. Your advantage with our CaraWarn team: You pay low prices for original equipment quality and we offer innovative technology for retrofitting and self-assembly. All safety systems are extensively tested and manufactured to a high quality standard. 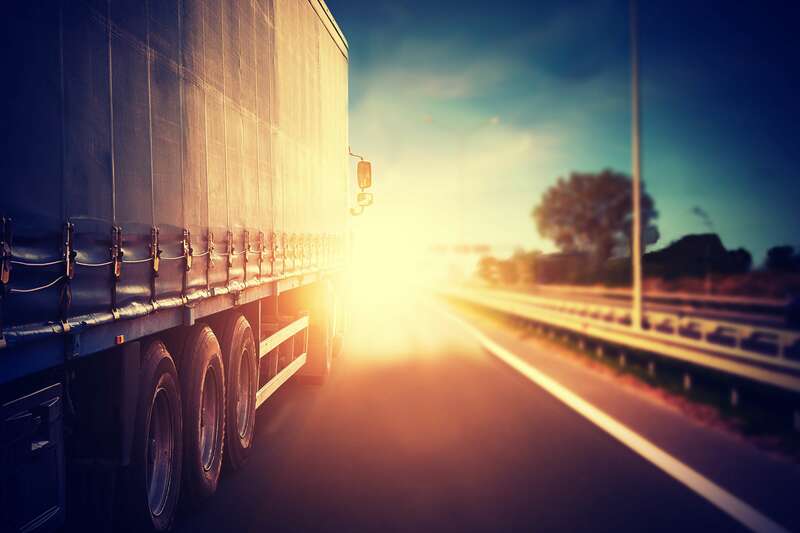 Reliable and easily retrofittable safety systems for trucks, vans, buses or even trailers, caravans and motor homes ensure greater safety on the road. Turning aids as a blind spot system, reversing alarms for motor homes or reversing aids for caravans and sales vehicles help the driver in confusing situations and prevent traffic accidents. 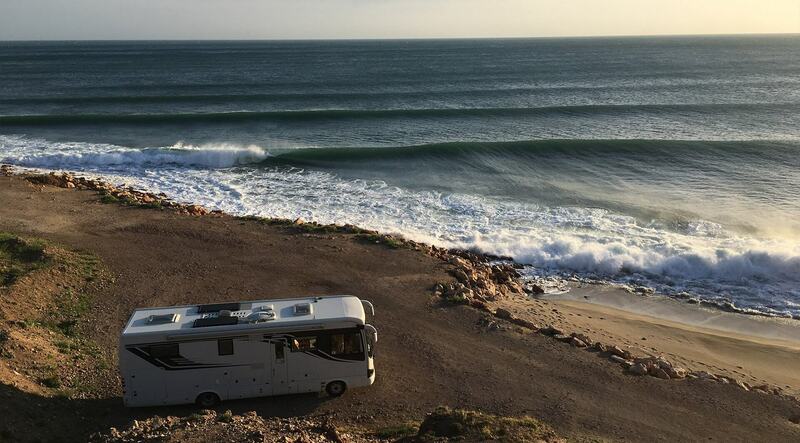 Alarm systems for campers and caravans help to enjoy the journey in a much more relaxed way. Whether on the motorway, in narrow streets, small alleys or in the parking lot, a truck blind spot system or a caravan reversing aid are always an advantage and the purchase price as well as the installation effort have quickly paid off, even if only a single accident, an injured person or even an accidental death could be avoided. Unfortunately, too many turning accidents with trucks or accidents of garbage trucks with cyclists happen on German roads. For this reason, more and more politicians and bicycle clubs are calling for FAS driver assistance systems for road vehicles and commercial vehicles. The number of people killed in road traffic should be significantly reduced, according to the so-called EU White Paper. A current policy guideline in the field of road safety aims to halve the number of people killed in road traffic by 2020 and even the goal that there should be no more people killed in road traffic by 2050. An important component of this are the driver assistance systems for trucks which warn of turning accidents and thus protect cyclists in particular from accidents with trucks or buses. 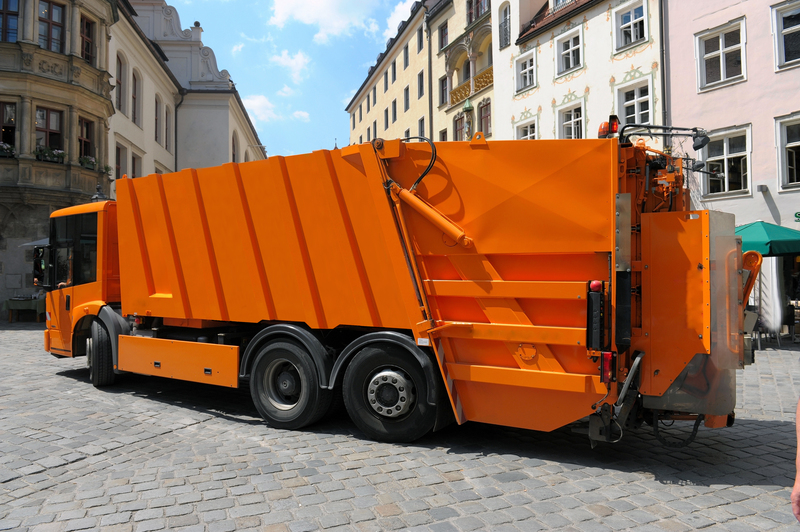 Municipalities and private waste companies have a particular interest in avoiding accidents with waste collection vehicles when reversing in one-way streets or when turning off garbage trucks, as well as street cleaning vehicles on sidewalks. For this reason, the "waste collection" industry rule of accident insurance provides recommendations on accident prevention and the prevention of accidents when reversing waste collection vehicles. Assistance systems can provide significant assistance to the driver and thus prevent such accidents with cyclists. CaraWarn has set itself the task of developing and constantly improving such driver assistance systems in order to prevent accidents and fatalities. If you are looking for a system that fits your vehicle and its use, we can certainly recommend a suitable system. If you want to retrofit a blind spot system or install a reversing warning system, then CaraWarn will help you with a variety of special systems and a multitude of installation partners. Many of our systems are suitable for self-assembly and can be retrofitted with little technical understanding. We would also be happy to find a suitable installation partner for on-site installation or support your own workshop personnel or your workshop of your confidence during installation. want to. Our prices are combined with the latest technology, high quality performance and maximum functional reliability. So that you can make the right decision when retrofitting the Toter Winkel Assistant, we have a wide variety for all trucks, buses, refuse collection vehicles, fire engines or motorhomes. We will be happy to advise you in detail and give you tips on which system fits your vehicle. We offer quality products at a fair price.